Overwatch Precision is pleased to introduce the first aftermarket polymer trigger for Glock pistols! This trigger is designed to provide the same great feel that our aluminum triggers provide at a reduced cost for the budget minded shooter. As always the flat-faced polymer DAT trigger will provide increased leverage to the shooter as well as a reduction of pre-travel by as much as 20% (depending on frame tolerances) without compromising firearm safety features, resulting in a clean, crisp break and reduced overtravel. 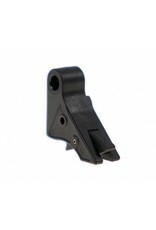 The shoe and safety are solid body polymer attached to a polished OEM Glock trigger bar. The Overwatch Precision Poly DAT is completely drop in ready and is in stock for all Gen 1-4 Glock pistols. 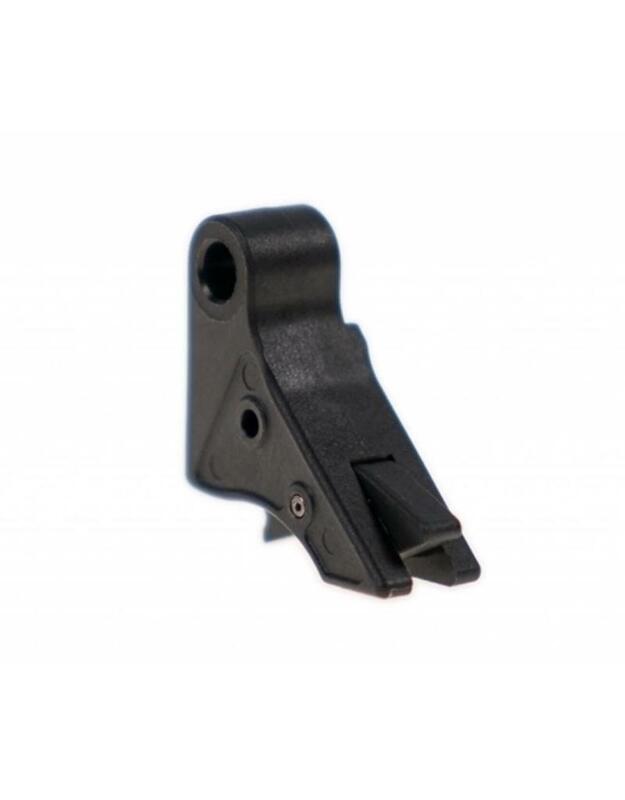 The addition of this trigger alone does not change the pull weight but when combined with our competition trigger spring and Glock OEM minus connector you can expect a reduction in trigger pull weight of one half to one full pound. Please note that we do not tune the trigger bar. This trigger will not work in the G42, G43, G19X or Gen 5 Glocks.